First introduced by James Pimm in 1823 this is a gin based drink that became known as the Pimm’s No.1 cup in the bottle that we are most familiar with today. 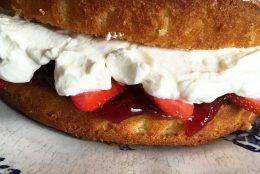 Interestingly, down through the decades different Pimm’s “numbers” have been introduced, such as Pimm’s No.3 cup based on brandy, and yet consequently most have been phased out due to a lack of demand. Other bases for Pimm’s cups have included Scotch whisky, Rum, Rye whisky, and vodka. 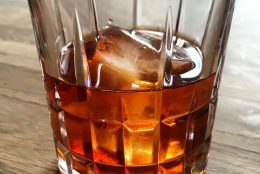 With a cola like colour, and indeed cola like tasting notes, this drink is a concoction of different liqueurs, herbs and spices. 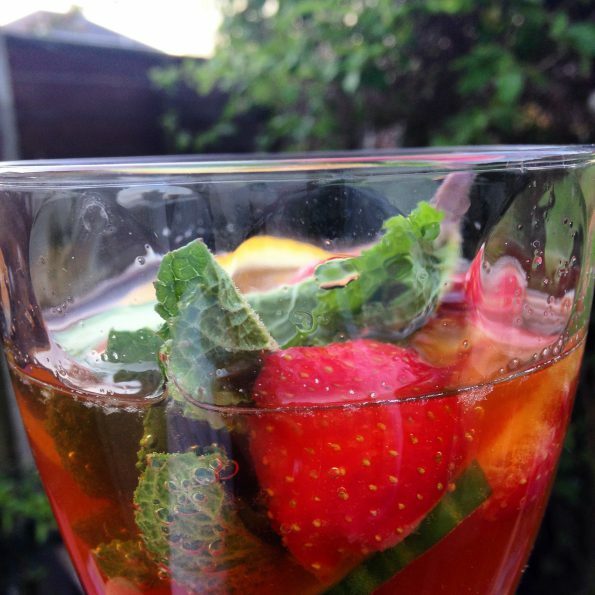 Put simply, Pimm’s No.1 cup is the bottle you will recognise and get in your off-license or supermarket. Quintessentially English and most associated with Wimbledon Tennis season, this is a drink that embraces all the best aspects of summer fruit produce and turns out a cocktail that is easily enjoyed, refreshing, and also one that is effortlessly adaptable to communal consumption. It has a relatively low alcohol content for a liqueur with that of 25%, enabling the perhaps all too easy enjoyment of more than one. 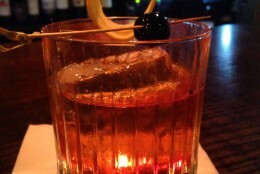 In essence, this is an excellent cocktail for a summer soiree, fill up a jug, pour it out, enjoy. Repeat the process. It really is that simple. The only real measurement to take notice of here is one part Pimm’s to 3 parts lemonade. After that please feel free to experiment with and change my generally accurate though non-scientific measurements for the fruit. To aid you in your serving calculation I’m going to give you the ingredients required if serving the full bottle over an evening. Each 70cl (750ml) bottle should yield approximately 14 servings. I’ll also give the recipe for a more civil third of a bottle. Make sure that regardless of which recipe you follow that there is enough fruit and mint to garnish each glass. What are you waiting for, it’s Pimm’s o’clock! Add all the ingredients to a large jug and stir to combine. Leave to sit for a couple of minutes for the flavours to combine. 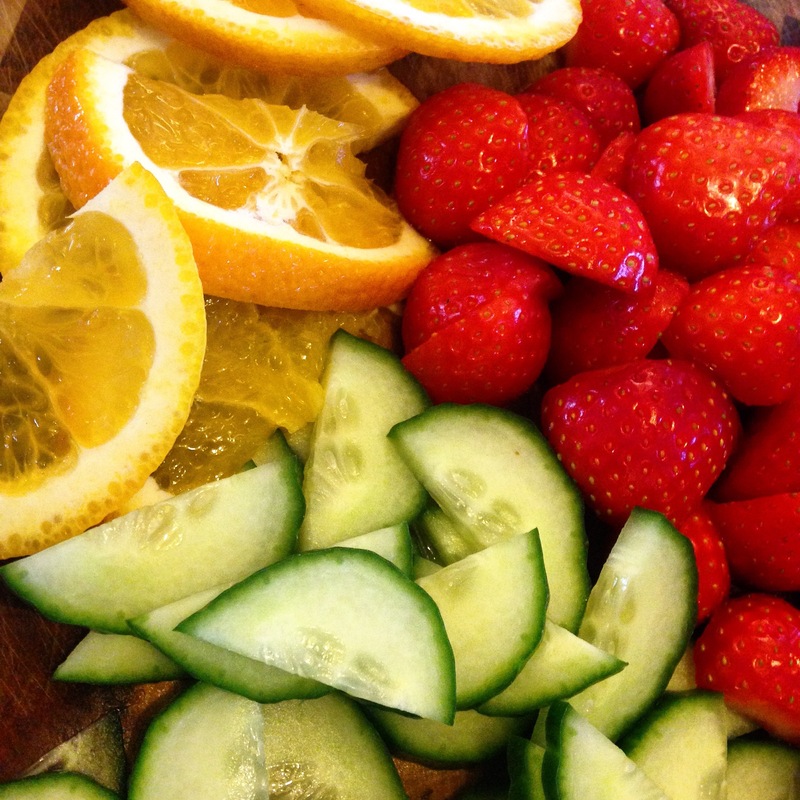 Add a few strawberries, cucumber slices, half an orange slice, and a sprig of mint to 4 large tumblers. 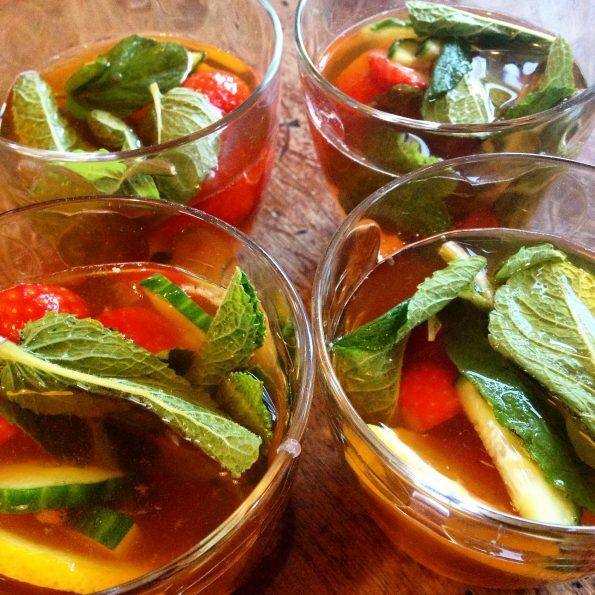 Top up each glass with the Pimm’s from the jug and enjoy. 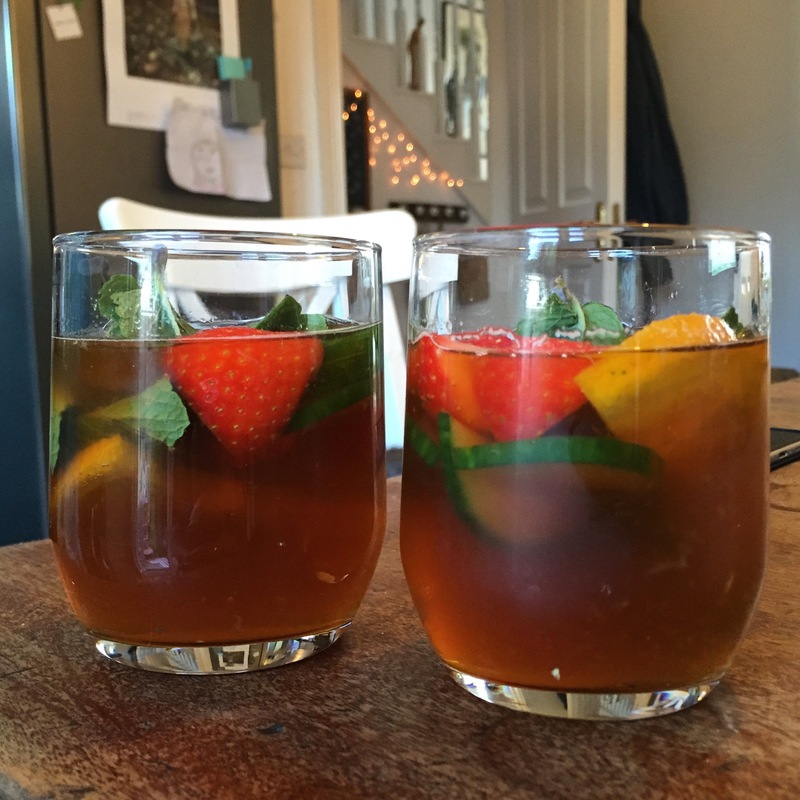 This is a gorgeous summer drink – we used to make Pimm’s summer punch at Fiesta time in San Antonio, and it’s always been a huge party hit. There are winter versions too, with apples and oranges etc. Such a brilliantly quintessential summer drink but funny that you should mention a winter version as only yesterday I was talking to a colleague about the very thing. I hadn’t considered it at all but I don’t know why! I’m excited to research and find recipes for a winter Pimms based punch. Thanks for the tip.